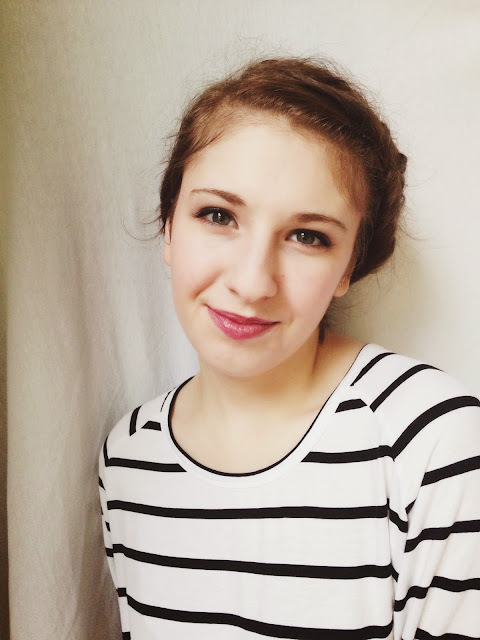 Lately, I have been intrigued with charcoal, and what it can do for the skin. 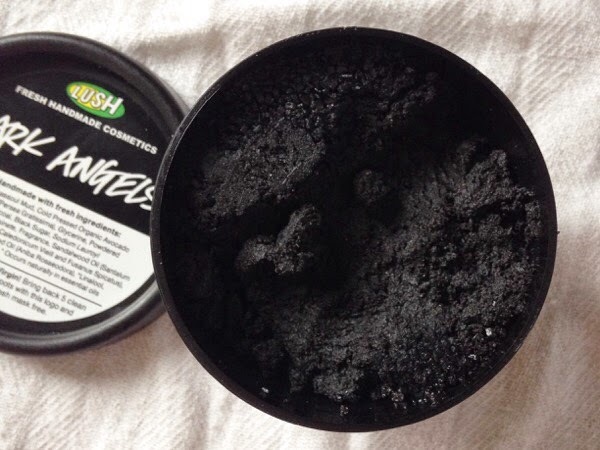 A couple weeks ago, I was at Lush Cosmetics down in Northwest Portland, and I saw their cleanser, Dark Angels on display. I have seen it before, and I have been curious about what it can do. I decided to purchase it and try it out. 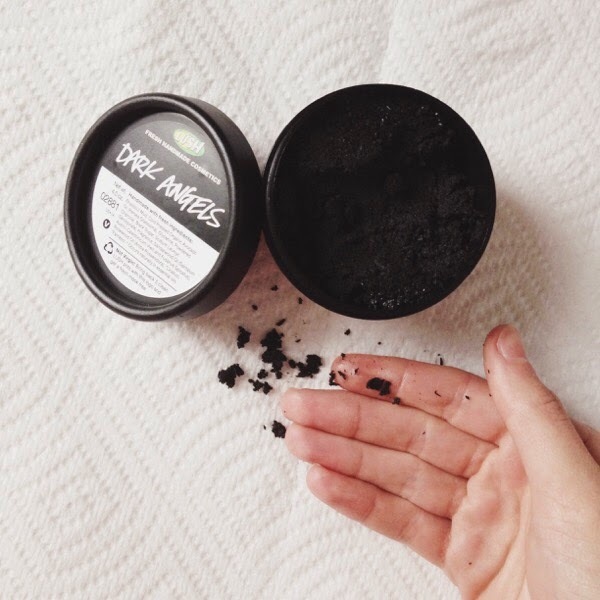 Dark Angels is a mixture of rhassoul mud, which deep cleans; avocado oil, which hydrates; powdered charcoal which absorbs excess oil, cleanses deeply, and balances skin; black sugar to exfoliate the skin; and other natural ingredients to give you your best skin. 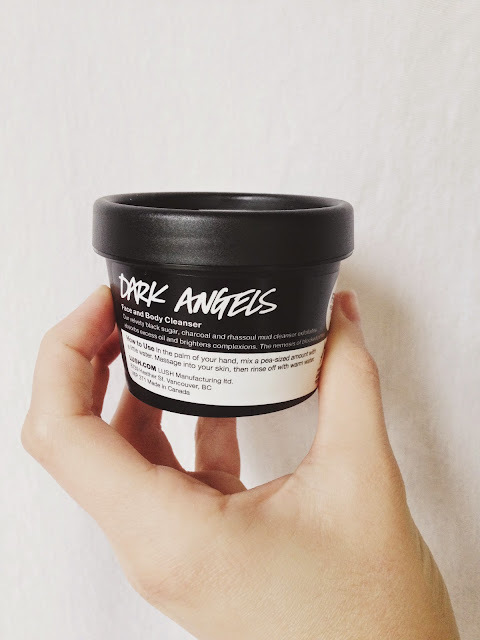 Dark angels is best used on "younger" skin, the skin that is battling oily skin, and skin that breaks out. My skin has become clear, and it is due to the happiness that I let into my life. I do agree that Dark Angels has helped tremendously. 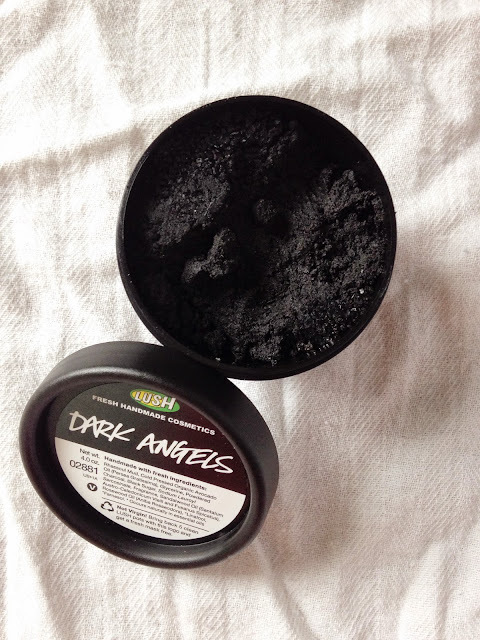 I love using Dark Angels on my face and body, especially in the shower because the charcoal can make a big mess. 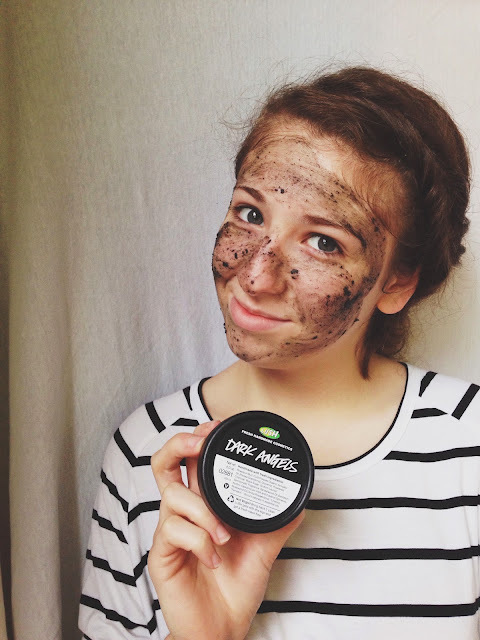 But, it surely makes my skin smooth, and soft after I exfoliate and cleanse with my Dark Angels scrub. The scrub is soft, and it isn't harsh on my skin. I was worried that it would be really rough on my skin, but it is a soft base with gentle exfoliation. I love the fact that Lush makes their products with the best, and the freshest ingredients. Dark Angels has no animal products in whatsoever, and it is packaged in recycled material. Oh, how I love eco-friendly skincare. Lush Cosmetics also practices Cruelty Free, meaning they don't test their products on animals, and no animals were harmed in the making of the products. Another thing that I love about Lush is the fact that handmake their products, and what's even neater is that they put a sticker on the cleanser pot telling you who made your product. It's a great way to get to know the people of Lush Cosmetics. My first impression of Dark Angels was that it deep cleaned, and it also smeels like tires and licorice. Luckily, I like the smell of tires and I like the smell of licorice, so the smell is definitely not a turn off. There are no turn-offs to this product, it is all-around amazing. When I rub it between my fingers, and on my face, I can feel the avocado oil hydrate my skin, while the black sugar and charcoal deep clean. 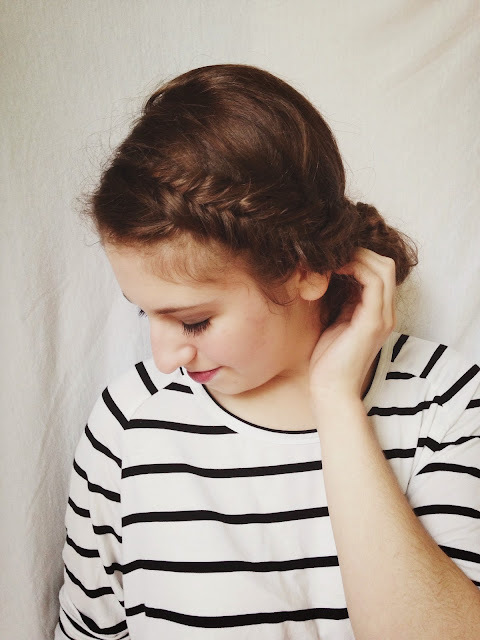 It feels so good to have smooth skin, and I enjoy applying my argan oil on my face after I cleanse with Dark Angels. I actually feel like skin is clean, and my pores are clear. One of the main reasons I bought Dark Angels was scrub my pores, and hopefully get rid of the pesky blackheads I sometimes get on the sides of my nose. I have been seeing great improvement. This is one of my favorite cleansers now, and this cleanser pot will be my fifth pot from Lush! When I am finished with Dark Angels, I can bring the rest of my pots in to receive a free, Fresh Face Mask. What a great recycling program! If you are interested in using Lush Cosmetics, visit here to browse their products. If you want to learn more about Dark Angels, visit here. A really fun factor that Lush has on their website is the Lushopedia, which tells you all about the fresh and natural ingredients that they use in their products. It gives you the correct name, where the ingredient is found, and what it does for your skin! There is so much to explore on Lushopedia and Lush's website, you'll have fun gaining knowledge about their philosophy and their natural products. I hope you give Dark Angels a try. It is a great cleanser, and I feel it has improved my skin for the most part. 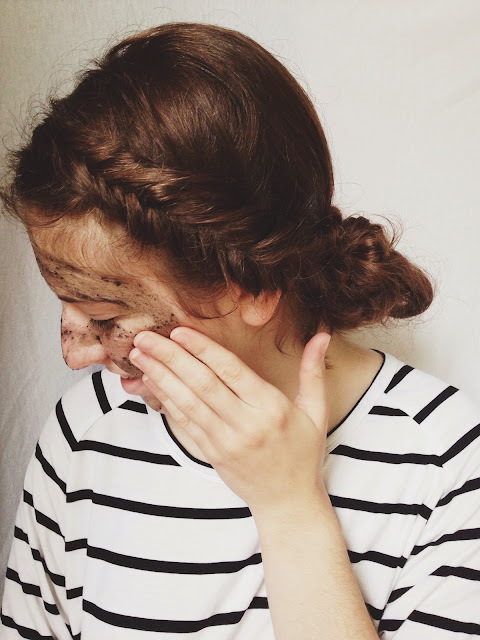 So, here is to clean and healthy skin!